Review: Metallica ‘Hardwired… To Self-Destruct’: Thrash Is Back! Hardwired… To Self-Destruct is arguably the most anticipated metal album of 2016. It’s been 8 years since Death Magnetic came out, and Metallica has some good excuses for the long gap. They founded their own record label, released a full length album with Lou Reed, released a self-produced movie, and of course toured around the world. But all the wait has paid off, and best of all, the album brings back something their old school fans will love: thrash! Hardwired takes the best out of the band’s iconic albums from the 1980s: fast and galloping palm muted riffs, dual guitar harmonies, double bass drumming, and lighting fast guitar solos. It also shows off James Hetfield’s best voice since 1991’s Metallica. The album kicks off with “Hardwired,” a fast and straight-forward thrash song in the spirit of 1986’s “Battery” or 1988’s “Blackened.” Although it’s the first track on the record, Hetfield has stated that this was actually the last song they recorded in the whole session. The album’s highlights include “Atlas, Rise!,” a mid-tempo heavy thrash song a la Motorhead and Diamond Head, with hints of Iron Maiden for the main unison guitar towards the middle of the song (“Hallowed Be Thy Name” anyone?). This song could easily have appeared on 1983’s Kill ‘Em All. “Moth Into Flame” also showcases old-school Metallica, with very clear similarities to Master Of Puppet’s “Disposable Heroes.” The song’s lyrics present a new angle for the band, focusing on the rise and fall of today’s pop-stars, a new for the band (usually focused on war, politics, death, and apocalypses). While the album has a few other remarkable songs, such as the slow-tempo and downtrend “Dream No More” and Black Sabbath-inspired “ManUNkind,” the real highlight comes later with the final song. “Spit Out The Bone” gives us 7 minutes of pure upspeed thrash, with memorable hooks, crushing guitar lines, and impeccable vocals courtesy of Mr. Hetfield. It is a song that really gives both old and new Metallica fans the shivers, and offers optimism for the band’s future releases. It is safe to say that “Spit” is the best song of the whole album. 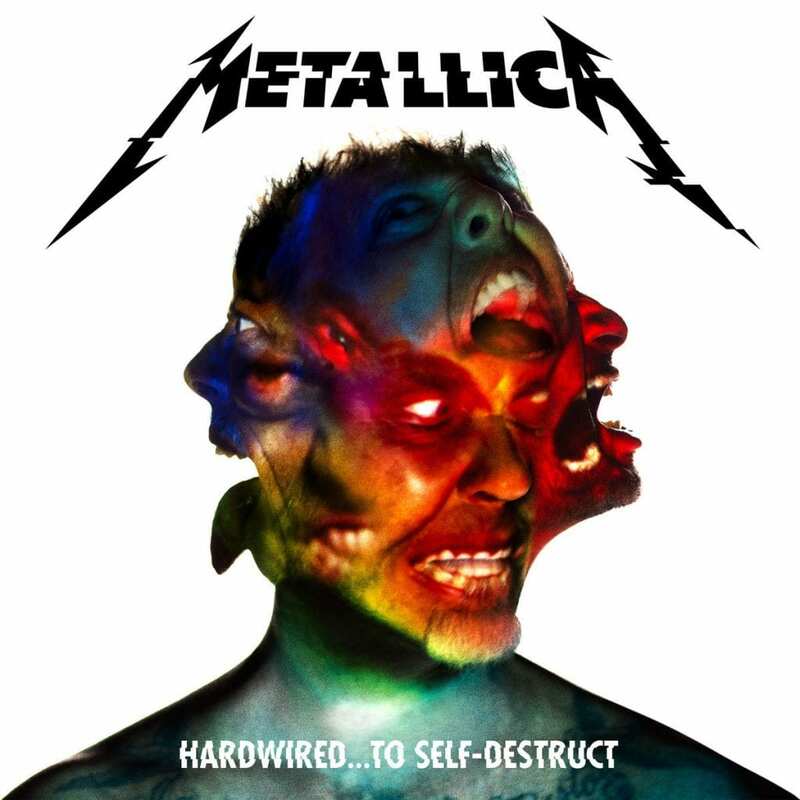 In sum, Hardwired… To Self-Destruct is about 12 new songs (deluxe edition adds 1 bonus track, “Lords Of Summer,” plus 13 live songs) of pure Metallica, blending the styles from their whole ’80s and ’90s catalog. For some, the album could be considered the missing link between …And Justice For All and the Black Album. For others, it’s the album that should have followed Metallica. Whatever it is, we guarantee it will make you bang your head for the entire 77 minutes. You can buy Hardwired… To Self-Destruct on iTunes now. If you have Hidden Jams, you have everything.